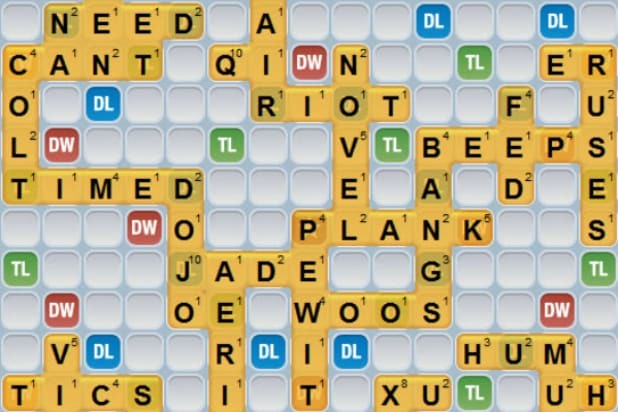 Remember when “Words With Friends” was called “Scrabble”? Remember when “Scrabble” was a TV game show? Of course you don’t. Either way, MGM Television and social game developer Zynga are teaming up to turn “Words With Friends” into a TV game show. The series “will also incorporate aspects from Zynga’s larger portfolio of ‘With Friends’ word and puzzle games,” according to a Wednesday media release. Since its 2009 launch, “Words With Friends” has been installed more than 200 million times and is one of the App Store’s Top 10 free games of all time, per Zynga and MGM. An estimated 55 million “Words With Friends” matches are played around the world at any given moment, and more than 75 million words are played every day. The companies should hope that “Words With Friends” eventually performs like “Candy Crush” on CBS did in its first week’s Nielsen ratings, and not how the second episode fared.